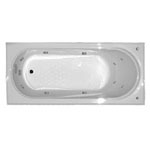 Spa baths are a wonderful addition to any home. They provide you the most luxurious and relaxing bathing experience that you long for at the end of a hectic day. The built-in hydro jets deliver absolute relaxation to your tired body, thereby making them absolutely worth the price they are. Whether you just want to quickly clean yourself or want to pamper yourself by soaking up in water; our spa tubs are the perfect solutions that you need. This means that they will comfortably accommodate your body’s natural curves, thereby making you feel extremely comfortable inside. The more comfortable you are, the more you will be able to enjoy. Whether you are taking a quick bath or want to enjoy your weekend by soaking up for an hour or two; these tubs WILL NOT hurt your back or shoulder. We use state-of-the-art technology to ensure you a pleasant bathing experience. 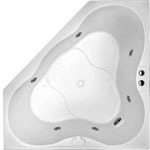 Our collection includes the conventional spa tubs that are usually installed at the corners or bordering a wall. 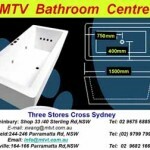 If you long for a fashion-oriented bathroom, try our free standing spa tubs that can be installed anywhere, even at the centre of the bathroom. 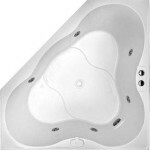 We also have corner spas, rectangular spas, broad way rectangular spa, square spa, oval spas, and many other designs. They are available in a wide capacity and have many technology driven features such as electronic touch pads, hot pumps, etc. We offer a wide colour selection to suit your individual taste. Our products are seamless, one piece and look elegant. Our collection is designed to address every taste. 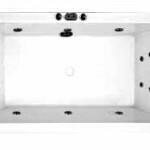 However, if you are after a specific spa bath design, discuss your requirement with us and we will be able to custom-design it for you. 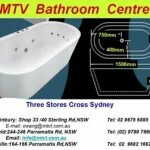 We also stock spa tubs and bathroom accessories of many popular brands. Browse our online store or visit any of our physical stores located in Sydney to personally check out our stunning collection. 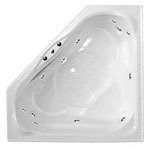 The spa tubs that we manufacture have powerful in-built jets that deliver high pressure water that will directly touch your body, thereby offering it the perfect massage that you are looking for. They are made of high quality material that will add elegance to your bathroom and give it a quick makeover. They are the perfect at-home spa that your family deserves. We have been manufacturing them for more than a decade and have a well-equipped automated facility that helps us create flawless and fashion-oriented products. Our spa baths are sold not only in Australia but also in international market. 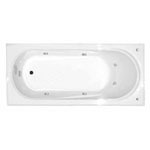 Spa tubs are a luxurious addition but we have successfully made them affordable too! 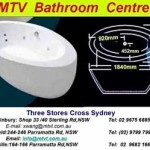 Our magnificent collection of bathroom supplies including spas are high affordable. They are available in a wide price range to suit every pocket. Plus, we offer discounts on bulk orders. While we have managed to keep our prices low, be assured that we have not compromised with the quality of our products or services. If you are ordering online, please read our delivery policy and refund policy before placing the order. For assistance, contact us at 02 9675 6885.